In this interview, Camille talks about how to talk to men without compromising your femininity, every woman’s little-known secret communication weapon (and how to use it) and how to get what you want from men through strategic communication. 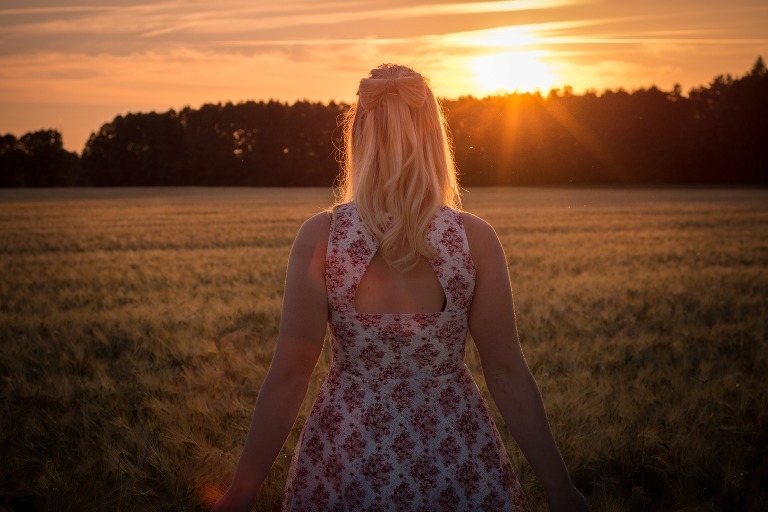 In the 21st century many people automatically gravitate to online dating or other online options to find a date or a mate, but there are many ways to find a date or find love in the “real world” – offline. 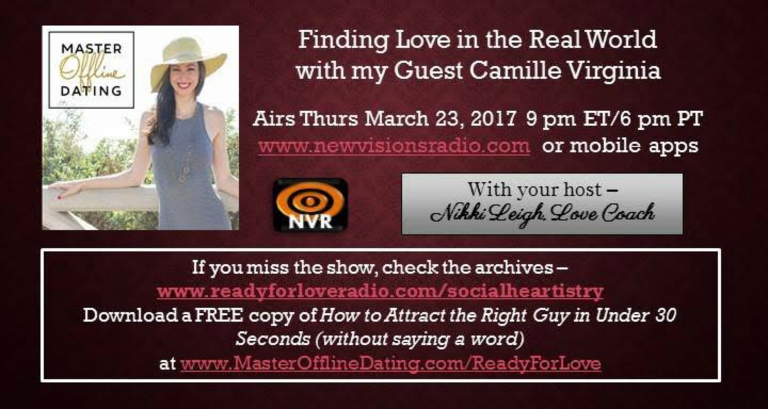 My guest this week, Camille Virginia, is the founder of Master Offline Dating and we’re going to talk about finding love in the real world through offline dating. Burned out on online dating? Even in our modern, busy world, meeting people offline is still possible AND easy! 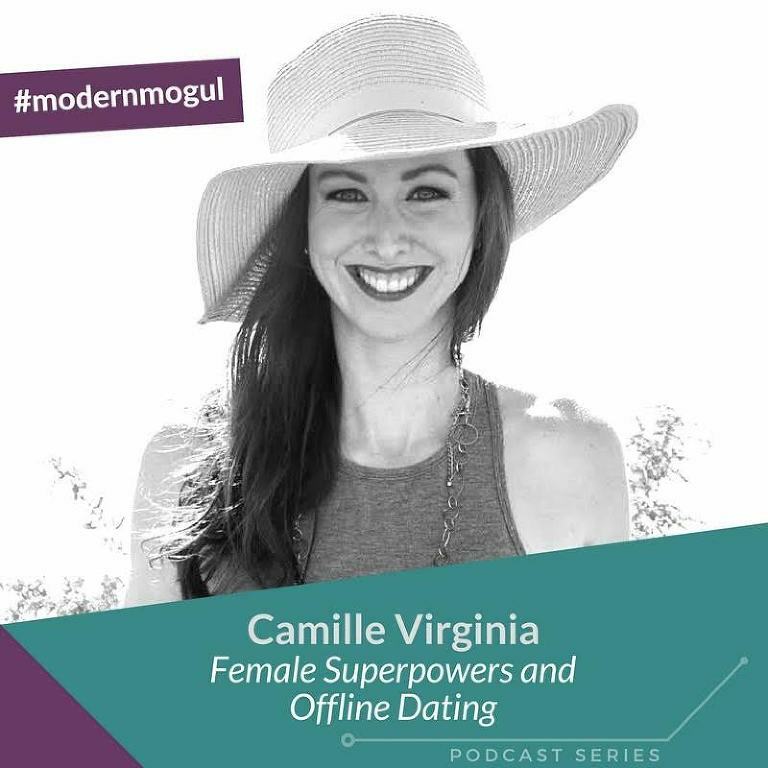 Offline dating expert Camille Virginia will share her secrets to success on how to tap into the hundreds – sometimes thousands – of daily opportunities to meet someone in real life. Want to meet him offline? Get easy + actionable tips you can put to use in your own life immediately (plus listen to an adorable Irish accent from host Lorna Poole) – like where all the quality men are hiding, how to stay out of the “friends zone”, why most women aren’t approachable (and what to do about it), and what exactly the Confidence Cycle is.